This one thing helps me as a mom so much! I started doing it with Hannelore when she was almost a year and to be honest I should have started it sooner, like as soon as she started crawling. I heard about it through the book Babywise: Book Two. They talk about doing blanket time when they can not crawl and I sort of did that. 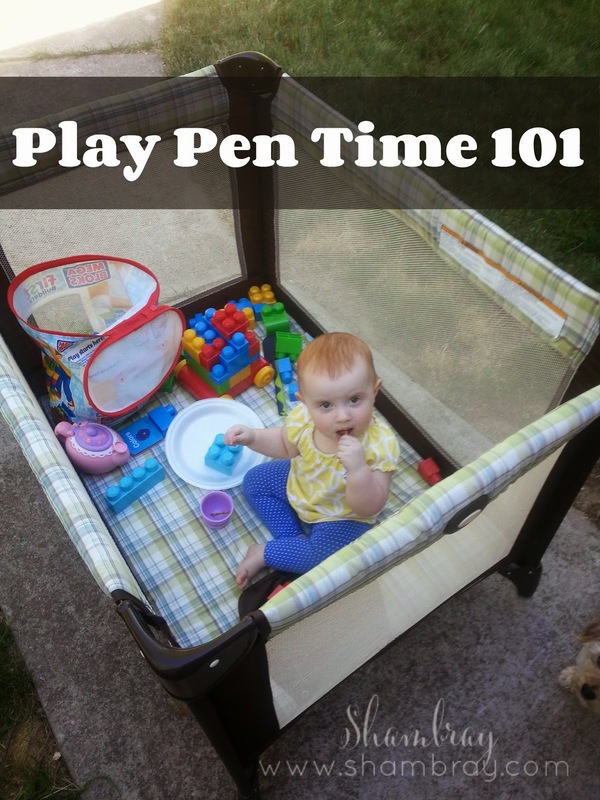 Play pen time (that is what I call it, not a technical term in any stretch of the imagination) is basically blanket time but in a play pen. With blanket time you teach your baby to stay on a blanket and play with 2-3 toys. You start out only doing it for 5-10 minutes and then slowly increase as your child becomes used to it up to 30 min. It teaches them boundaries and independent play. Both of those things are things kids and even teenagers struggle with in today's world. As they become older you can increase the time to an hour. That is what we do now. However, I did not start with an hour right away. My little Hannelore actually loves it. I let her pick the toys and she can have her blankets and some books as well. She loves this quiet and peaceful time and SO DO I. I love that she plays with herself and uses her imagination. Also, one thing I should mention is that I place the play pen somewhere where she can not see me, but I can check on her to make sure she is okay periodically. Please do not think I abandon my kid in a room and party without her. If she sees me she does not do as well. This is a great solution. In the book they say when they are too big for a play pen then you can do room time. So this is something that I plan on doing for a very long time. I listened to a Mom's Conference earlier this year and April Perry from the Power of Moms talked about Mommy's Quiet Time. It is basically the same thing. She sets a noise machine up with each of her kids and they all turn it on for an hour twice a day. They can read or independently play, but this is time for her to do what she wants. During the afternoon time she usually naps! How awesome is that! She does it twice a day, but her kids are older and so they are not napping. I only do it once with Hannelore since she still naps. During these times I usually clean the house or work (since I work from home). I wish I could nap or do some crafting or something more fun than what I currently do. 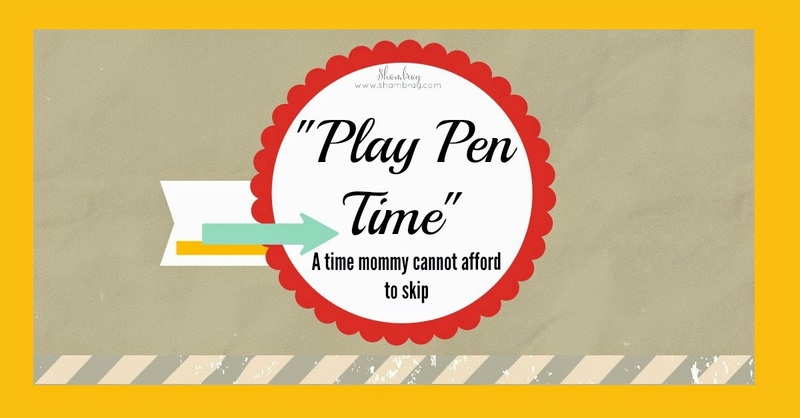 I am not complaining though, because when play pen time is done then my house is more clean or I have completed something for work. I feel much better and I can focus on my little miss more. It also helps that she has had time to relax and calm herself down as well. We are both much more pleasant people after it. Another side note: I never give her electronics during this time. I will let her listen to soft music if she chooses to, but that is it. No TV, no cell phone, and no tablet. This time is for relaxing the mind and/or using your imagination. I want a more relaxed child after this not a wired one (which tends to be the case after utilizing electronics). I can only imagine with twins! I can promise after they are more content (do you don't feel like pulling out your hair while they are in there) in play pen time you will find freedom you didn't know you had. For example, unloading the dishwasher without little cuties jumping in there!